My apologies kind City-zens but it's been two weeks since I last posted here on our blog, but trust me it's been busy and we've been hard at work ramping up for the upcoming onslaught. 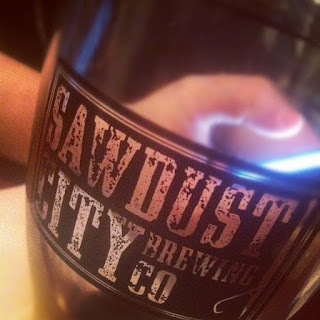 You see it's been two days since the unofficial kick off to the drinking season (St.Paddy's Day) and it's two more days until the unofficial kick off of the patio season (first day of Spring) and we here at the Sawdust City Brewing Co., could not be happier. Not only was St. Paddy's Day it's usual awesome self, with fun being had by all who ventured out into the unseasonably warm embrace of the 17th of March. 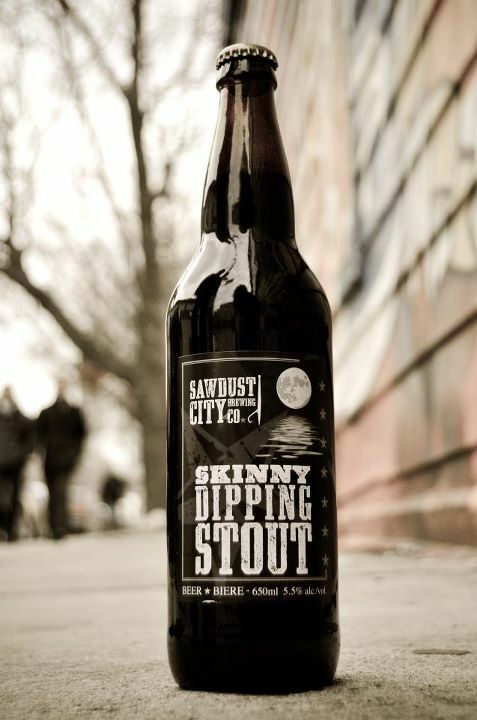 But for the first time ever, we got to enjoy a few of our own stouts on the stoutiest of all days. It seems a simple dream, but until Saturday, being able to enjoy a stout I brewed in a bar had been just that, a dream. Well cross that off the list folks, cause I done did that. And in spades! 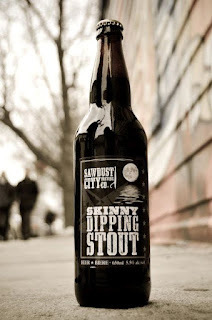 With an pseudo pub-crawl of wicked bars across downtown Toronto, we were able to find a few places that were carrying our stout and we elected to enjoy some of said stout and said pubs. Good times, good times indeed! No more muss, no more fuss. Just consult the map, head to one of these convenient locations and you'll be able to walk confidently up to the bar and order a fine pint of Sawdust City. How fine you ask? Well thanks to The Thirsty Wench, you can read this review and get an idea of just how fine. So yes, momentum is building here in Sawdust City and like I said, we couldn't be happier. For right on the heals of all this positivity is the return of the mighty Lone Pine IPA! V 1.0 of Lone Pine sold out super fast, with all the bottles, kegs and casks flying right out the freezer doors. So with such a great response what else were we to do but tweak the recipe and make a few changes! The bane of all brewers is our inability to stand pat and not tinker with a recipe. We know, We know, consistency is key, but sometimes we just have to tinker. The general theme of V 2.0 is the same, hop forward with lots of pine notes, we just wanted to make it...you know....hoppier....and pinier. So we did. With just a few strategic changes to the hop charges and a few more days on the dry hop, we think that we've achieved just that. more delicious hoppiness and more face slapping pininess. And seeing as we brewed it with the fine folks at Black Oak brewing, there is now twice as much Lone Pine awesomeness kicking around! So thanks to AJ and his amazing map, you too will be able to find Lone Pine IPA at bars across the GTA real soon, maybe as early as next week (March 28th)! 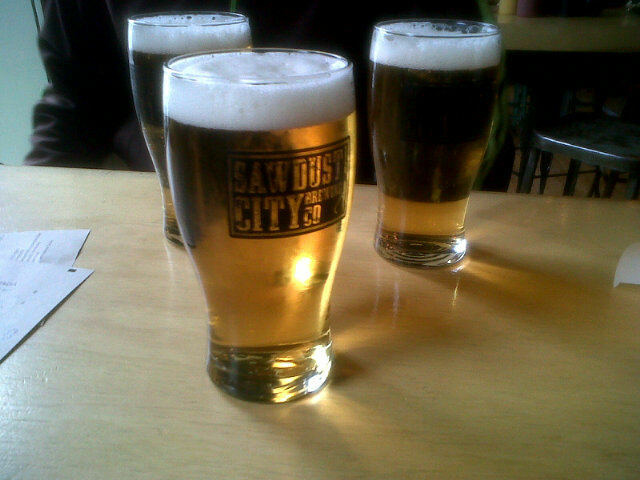 Oh but wait, I'd be remiss if I didn't remind you about Gateway Kolsch....it's almost gone! Our first double batch brewed at Black Oak has been selling much faster than we anticipated. With twice as much beer, we expected it to last twice as long...well that didn't happen. With only a few kegs left, it looks like we're going to have to brew this again real soon. Perfect for this early warm spring weather, Gateway Kolsch has all but disappeared, so head out and try a pint before its gone. Anyhoo, that just about does it for now. Until next time, keep the beer in your mugs and the sawdust beneath your feet.